Play them in any order & jump around between them, it's your choice. 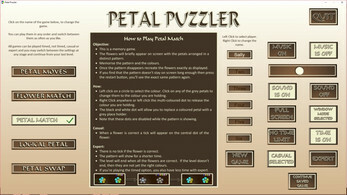 This is a very relaxed and easy puzzle game. 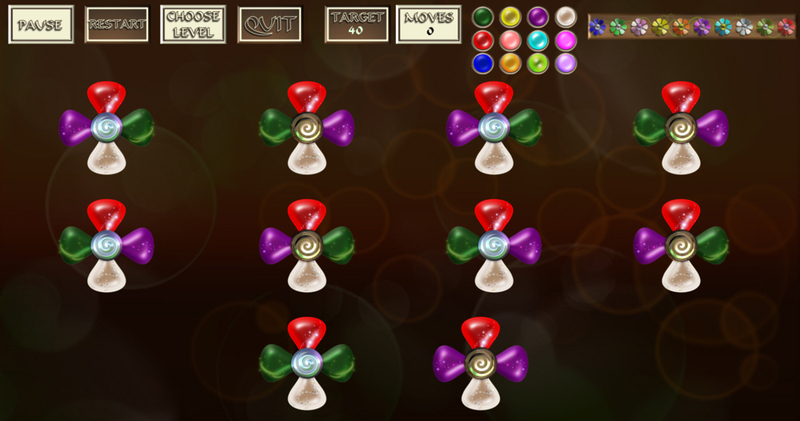 You still have to concentrate to achieve the least amount of moves. 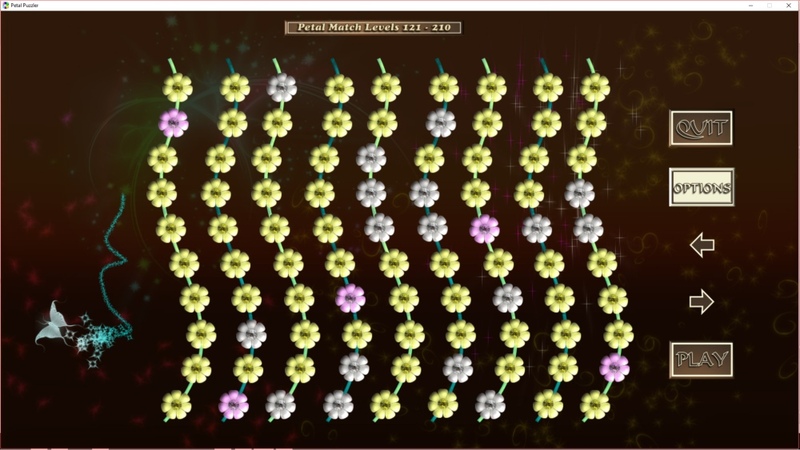 The flowers appear briefly on screen. 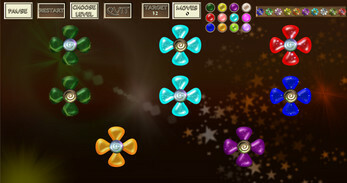 You need to memorise the order of the colours and then recreate them. 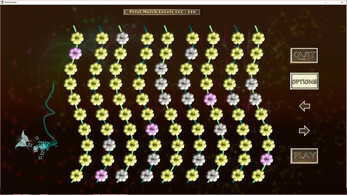 The flowers are randomly chosen. 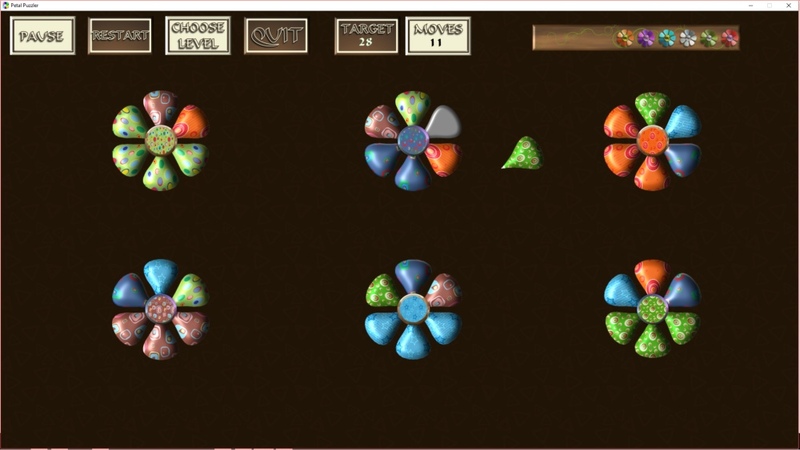 This game will improve your memory! You can swap any of the 2 petals but you can only swap 2 petals at a time. Do this in the least amount of swaps for gold - which will require you to work out the best strategy. 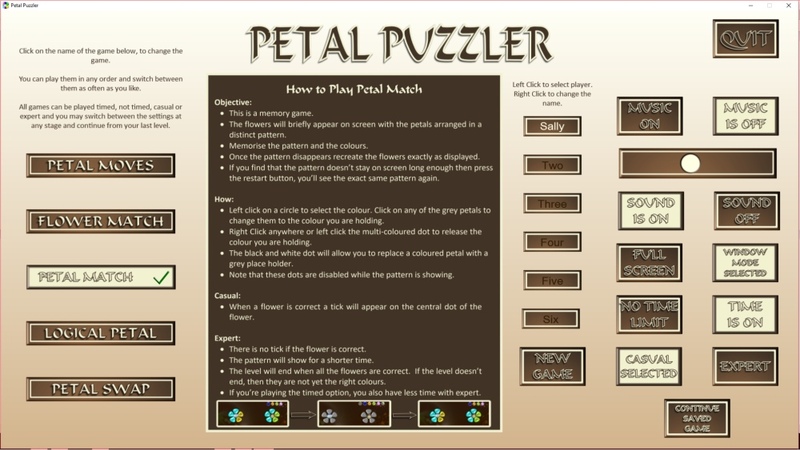 You can choose to play all the games timed or not timed - although in the memory games the flowers remain only for a certain length of time before disappearing. 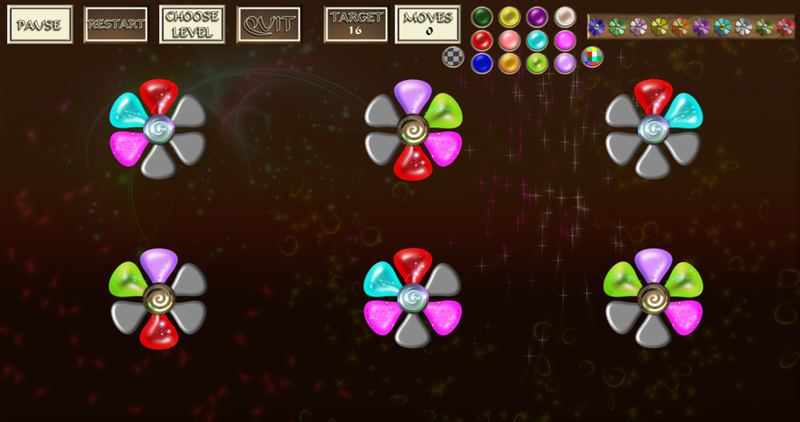 In Petal Moves and Petal Swap it gives you a guide colour in the centre of the flower which makes the game quite easy. 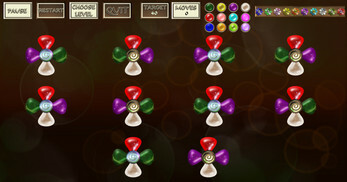 With the memory and logic games, casual mode will tick a flower when it is correct. This way you can see if you made a mistake because the flower won't be ticked. 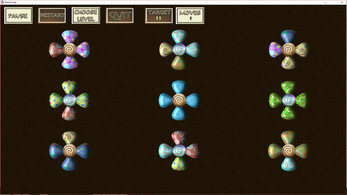 Therefore if the level doesn't end it is up to you to determine where the mistake is and fix it (or restart). 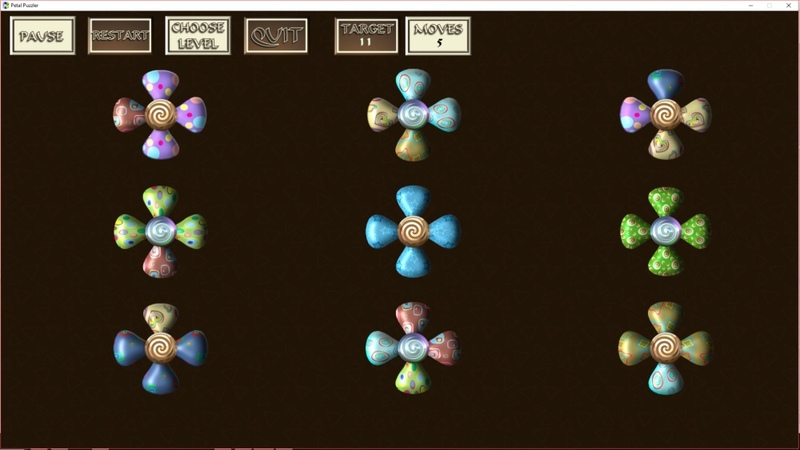 It was tested on Windows 10 and also on a ratio of 1366 x 768 - it fills the screen correctly.